General Services Administration selected Gilbane and Gensler as the design-build team to provide repairs and alterations to the G.T. “Mickey” Leland Federal Building in downtown Houston. After conducting an extensive design-build selection process, the General Services Administration selected Gilbane and Gensler as the design-build team to provide repairs and alterations to the G.T. 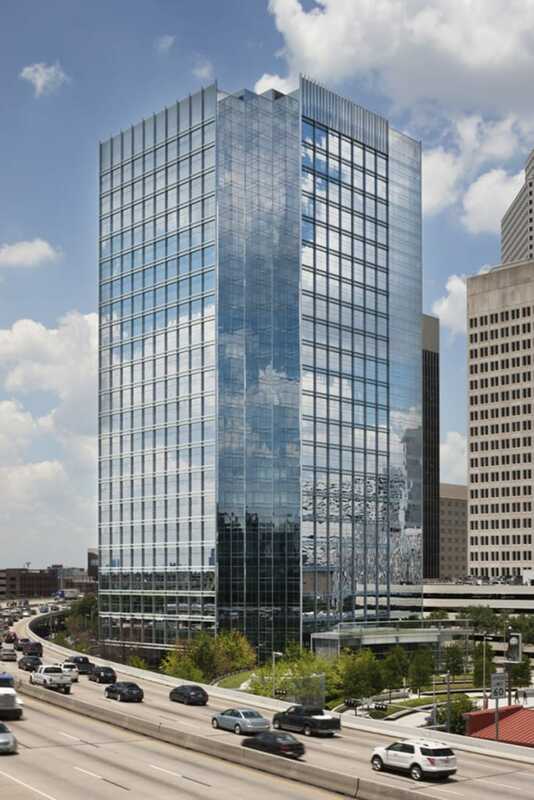 “Mickey” Leland Federal Building in downtown Houston. 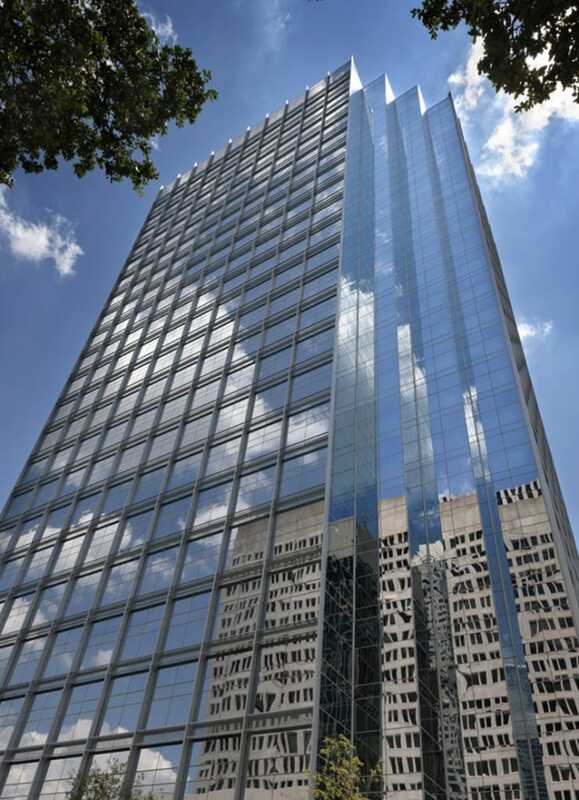 The 22-story high-rise office tower was built in 1983 and was in need of a comprehensive modernization and upgrade, including a complete façade replacement to address air and water infiltration and energy conservation. 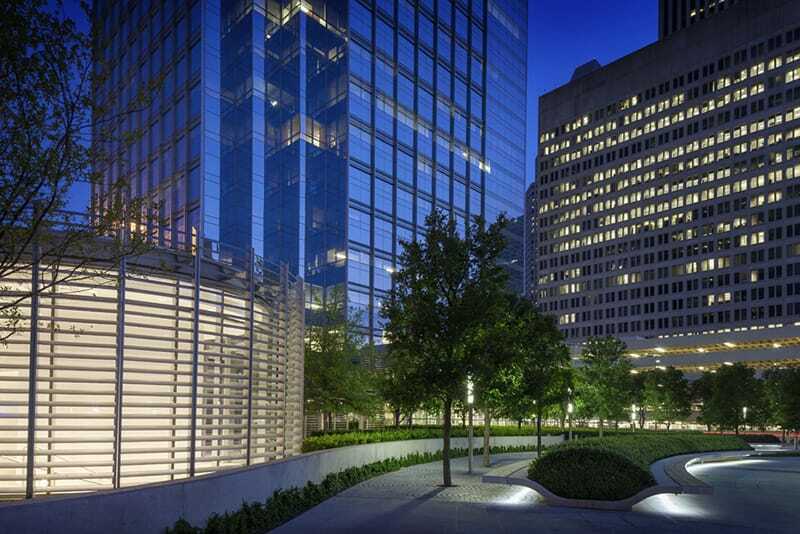 In addition to the window and curtainwall systems, renovations included HVAC modernization, ADA improvements, completely new ceilings and lighting systems, and upgrades to the building lobby and common areas such as the public plaza, garage and a breezeway/tunnel connection between. The building is home to more than 15 federal government agencies and a number of congressional offices. It was over 95% occupied and continued to be occupied and fully functioning during the project. Building operation continuity, tenant safety and minimizing disruption to tenants were major aspects of the project execution. Among several project innovations, the design-build team utilized Building Information Modeling (BIM), an aggressive tenant swing space phasing plan, and a unique recladding technique to deliver the project significantly below the stated construction cost estimate means the project was completed well ahead of the GSA’s desired schedule. As such, the team was able to provide several betterments and multiple MEP systems improvements that offered an estimated 5% more energy efficiency than anticipated. Consistent with the GSA’s goal of improving the public’s “first impressions” of the building, the design team set out to address both image and functionality on the entire project, including primarily the building’s envelope, entry and security sequence, and public plaza. 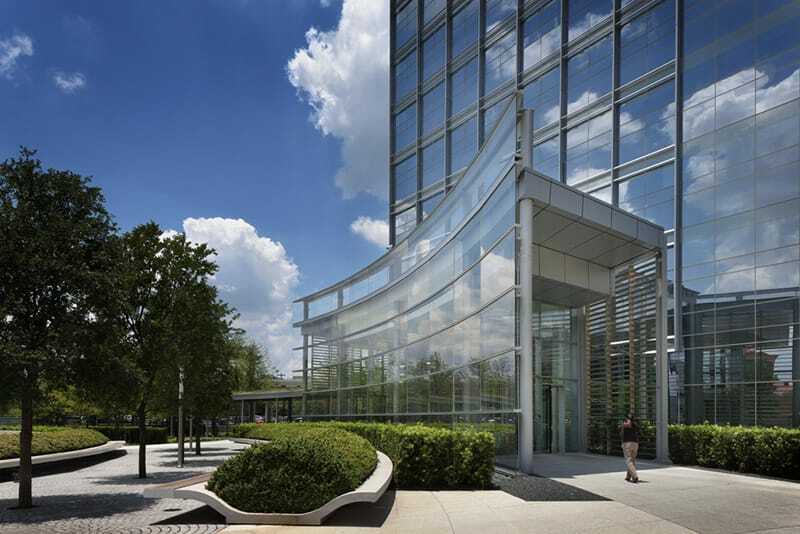 The result was an office tower with a distinctly more soaring appearance, an improved visitor and tenant experience, and an overall image befitting the stature of a modern Federal building. As with all GSA projects, the project was required to achieve a minimum LEED Silver rating, although the design-build team achieved LEED Gold. In addition, the GSA Design Excellence, First Impressions, and Art in Architecture design programs were an integral part of the project.